In 2013 the Richmond Review newspaper polled readers and voted Dr. Kehoe as the number one chiropractor in Richmond. Dr. Kehoe graduated in 1982 from the Canadian Memorial Chiropractic College. He has enjoyed the pleasure of building a family based practice and will continue to do so in Richmond for at least ten more years. 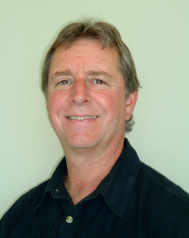 Dr. Kehoe was born and raised in Vancouver and comes from a long lineage of Chiropractors. His grandfather, great uncle, two uncles and two cousins were/are Chiropractors, as well his wife, Dr. Heather McLeod. His family’s choice of health care obviously was Chiropractic. Drs. McLeod and Kehoe reside in Richmond, B.C. where their three daughters attended local Richmond schools. Dr. Kehoe has served on the board for the B.C. College of Chiropractors and was active on the Work Safe B.C. committee and Standards of Practice. Dr. Brad Kehoe is a registrant of the College of Chiropractors of BC and the BC Chiropractic Association.